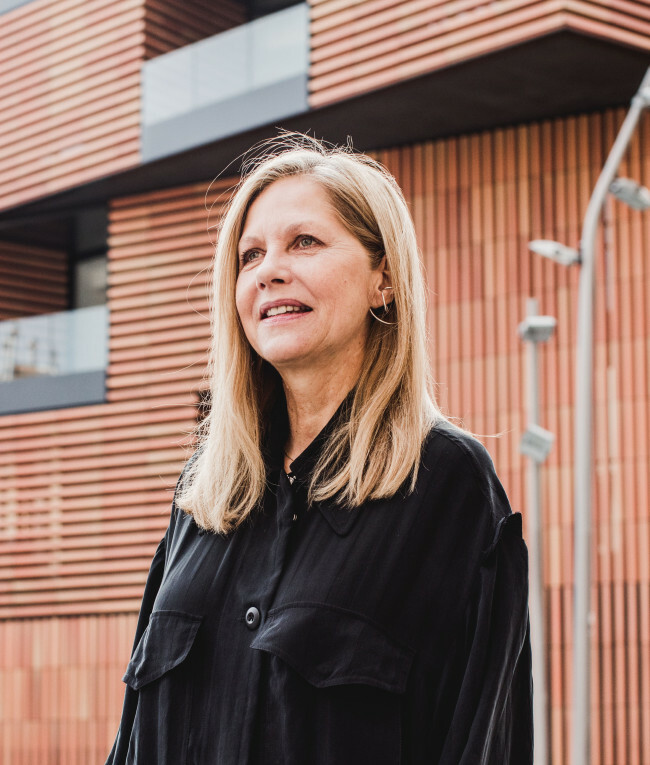 A few weeks ahead of the Herald Design Forum 2018, Martha Thorne, director of the Pritzker Architecture Prize, shared her thoughts on the future of cities, as well as the growing role of architecture. “When we think about a livable city today, we are signaling a shift in the emphasis of the city,” Thorne said in an email interview with The Korea Herald and The Herald Business. The emphasis of the city is now shifting toward livability, Thorne noted. “In the past, we talked about economic activity, competitiveness, and innovation that occurs when people are together in a dense settlement. However, we have seen that benefits are not equally distributed,” Thorne said. “Of course, our buildings must be safe and functional, but they should be sustainable, perform well in terms of the use of natural resources, and also allow people to feel good mentally and physically in them. Our cities need to become ‘responsive cities’ where people feel that they belong, have a choice, and have a contribution to make to the community,” said Thorne. Defining sustainability as a way of seeing the world and understanding that every action we take can have many reactions, Thorne explained that the most successful sustainable projects are those that recognize the environment, economics, culture and the social dimensions of the work. The role of architects and designers, as well as that of developers and politicians, have become greater than ever because cities are becoming more complex, and there is interdependency among all the parts, according to Thorne. They are the “city makers,” she said. “They need to understand the larger picture as well as the individual building or space,” Thorne said, adding that architecture and design have fundamental roles as they are the main agents for creating the physical spaces in which we live. Architects and designers need to educate not only their students, but also their clients on the need for a “holistic approach” to the city, Thorne pointed out. ‘We are creating environments for diverse populations today (different ages, needs, abilities or disabilities, backgrounds, economic strength, and interests) and for future generations. This is a big responsibility,” Thorne said. “We can already see the evolution in workspaces, for example, the days of the office cubicle are over. It has been shown that a diversity of spaces, unexpected encounters among people and flexibility can enhance innovation, productivity and provide more fulfilling workspaces for the employees,” she said. Thorne’s upcoming visit to Seoul marks her second visit to Korea. “As all large cities, (Seoul) must deal with enormous complexities. I have seen very positive examples of many functions being housed together -- shopping, culture, eating, recreation, education. ... This understanding that diverse activities can co-exist contributes to vibrant urban areas. I also recall that the distances in Seoul are great and traffic is a challenge. Ease of mobility and reducing the need for traveling long distances can contribute to well-being, more free time for the residents, and also less contamination of the environment,” said Thorne.